Thanks for your great method. We Learn Faster With Effortless English! “AJ, It’s much easier to learn English with you. You are happy and you are always well. Thank you so much! We learn faster with you. 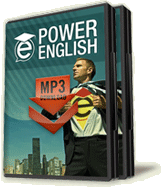 Go to official Effortless English website and learn more about Power English Lessons! My Biggest Problem with Learning English. What is it? How Should You Learn English Online? How To Learn English Grammar Without Studying Rules? Effortless English School in Your City? The difference between Original Effortless English and Power English lessons? Do I Really Need To Buy AJ Hoge's Lessons? Effortless English - Mini Story "Robert Lewandowski"
Effortless English - Mini Story "Google, Facebook & The Internet"
Effortless English - Mini Story "John and his travel"
Above lessons are not official Effortless English lessons. They were made to share with you the idea about Mini Story lessons and Listen & Answer approach. Notice that only effortlessenglishpage.com (English) is still updating.